As consumers become ever-more environmentally conscious we have seen multiple initiatives such as carbon-offsetting credit cards and travel agencies that enable people to keep tabs on their carbon footprint. Now, MagnifiSense is a wearable developed by researchers at the University of Washington that takes a different tact. The wristband detects what devices and vehicles the wearer interacts with and automatically calculates their personal energy usage. MagnifiSense uses a trio of sensors to differentiate between devices by measuring the level of electromagnetic radiation emanating from each. 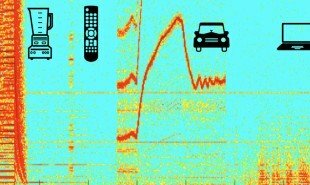 Since every household object naturally creates a different radiation pattern, the system is able to identify anything from microwaves, blenders, remote controls and electric toothbrushes to laptops, light dimmers and even cars and buses. The device is currently in the prototype stage. 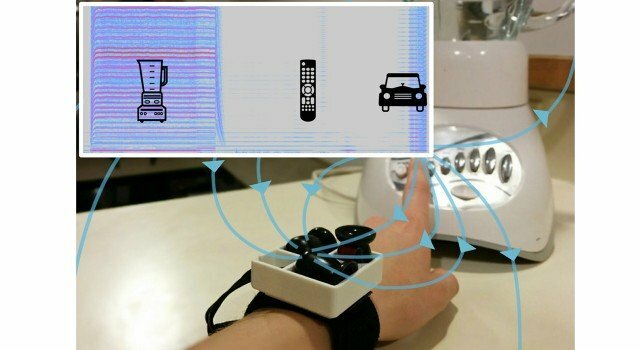 During initial tests it successfully identified 25 out of 29 interactions in a single day, but the prototype is clunky and would need to be scaled down in order to function successfully as a wearable. The developers also plan to look further into what other devices it could detect. As well as enabling users to monitor their carbon footprint, MagnifiSense could also be used in assisted living and nursing homes to help carers keep track of the behavior of elderly people. Could the system be used as a tool for audits in business environments too? The post Wearable recognizes appliances and monitors their power consumption appeared first on Springwise.